WISER invites you to attend the launch celebration of Meghan Healy-Clancy's new book A World of Their Own: A History of South African Women's Education published by UKZN Press. 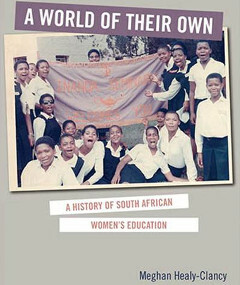 A World of Their Own is the first book to explore the meanings of black women’s education in the making of modern South Africa. Meghan Healy-Clancy examines this theme through the history of Inanda Seminary: the oldest extant high school for southern African girls, operating outside of Durban since 1869.